When her father didn’t put her as a named driver on an insurance policy a 33-year-old woman was detected driving uninsured. Tirnagh Louise Doherty, Drumbeg, Craigavon, was fined £350 last Friday at Craigavon Court for not having insurance on May 4, 2017. She was also given six points and ordered to pay a £15 offender’s levy. 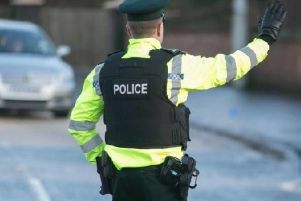 The offence happened on the Monbrief East Road in Craigavon. Defending solicitor, Mr Pat Vernon, explained that his client’s father had her on a policy of insurance but when it was renewed he did not put her on as a named driver. He added that the defendant didn’t know this. Mr Vernon said she had now taken out her own insurance.